The boyfriend and I have been busy since the last half of the year, perfecting one of our favourite CNY goodies. We spent many weekday nights, as well as our entire weekends experimenting and studying the different recipes and techniques to conjure something that satisfied our tastebuds. It's not a bad idea since we spend less on apparels and stuff, but we probably gained quite a bit of calories from all the baking and tasting. 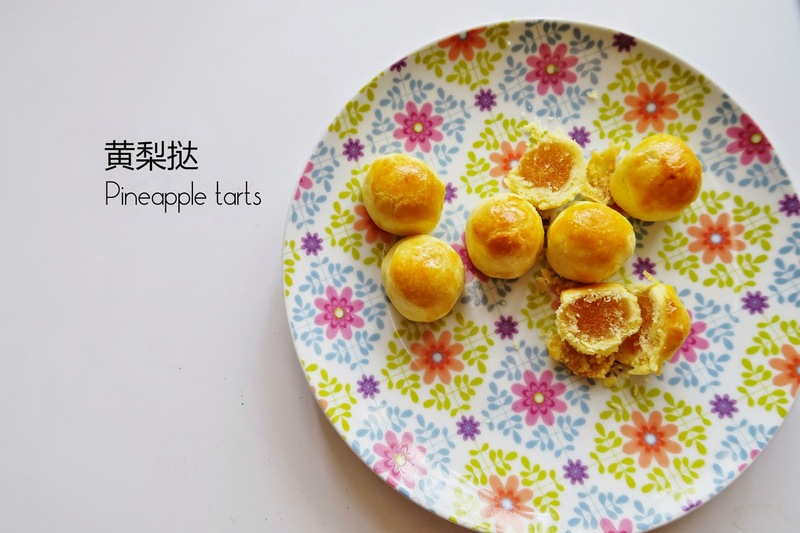 Our first wave of pride swept through when one of our friends commented that our first attempt of the pineapple tarts was much better than the ones they learnt to make in the bakery class, which of course the bf attributed that to his innate talent in baking and secret recipe. *We have now done xxxxx times and improvements in our recipe. We had friends loving it and feedbacking that our pineapple tarts are better than those retailed outside, which of course we think so too! As we put a real good deal of butter goodness in the tarts. And many of them encouraged us to start selling them. 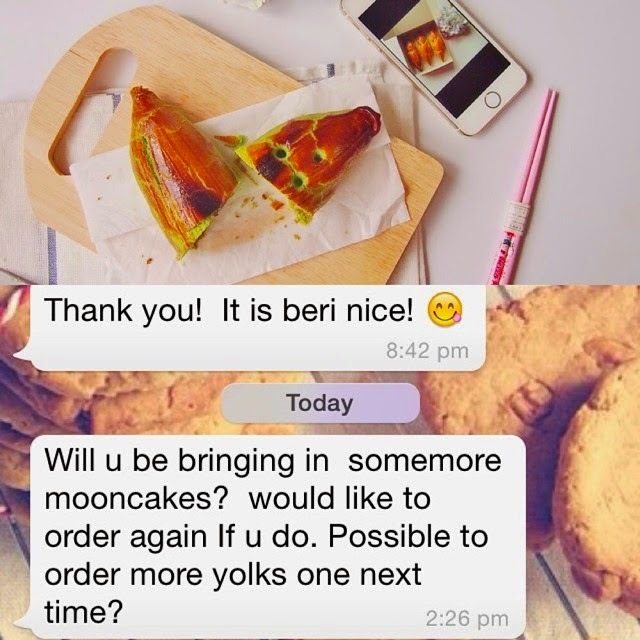 Dad, the pineapple tarts your daughter bakes taste better. 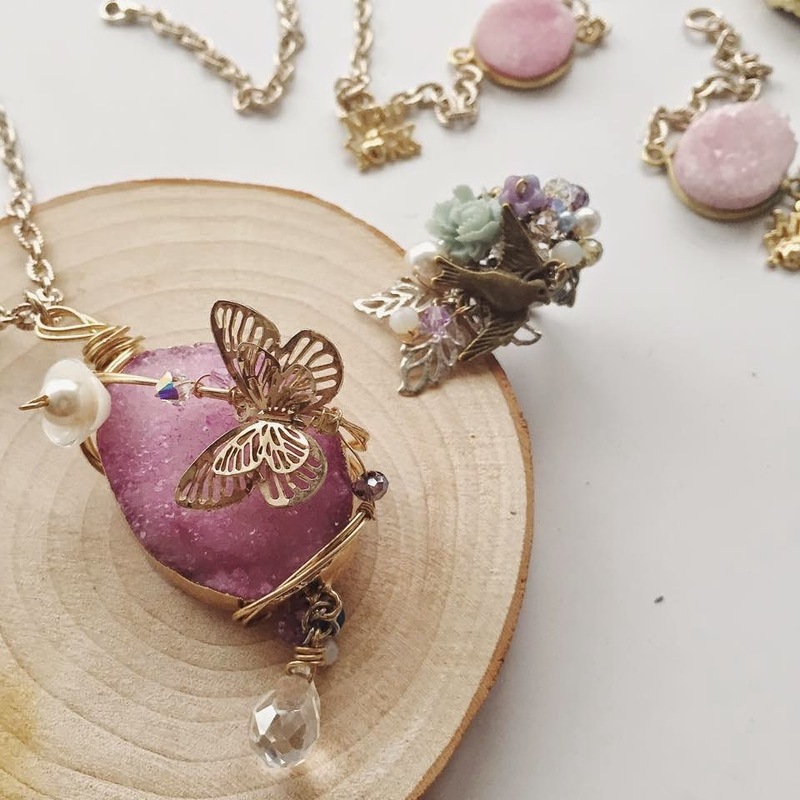 Apart from helping boyfriend with the tarts, I have also been juggling with the preparation for TDJ's upcoming jewelry pop up booth at Good Citizen Flea. Here are some sneaks of what's gonna be there! With the festive season and Valentine's day around the corner, do drop by our pop up store to select from an array of jewels and clutches! Feel free to drop us an email if there are any instock apparels or items from the store that you would like to try and we will try to bring them down for you! We will also be bringing down our pineapple tarts for food tasting and giveaway during the flea! Our friend quipped that this pose reminds him of Po from Kungfu Panda. Pineapple tarts are one of our favourite CNY goodies and being lovers of butter, we really enjoy these golden treats. We hope you and your guests would love our pineapple tarts as much as we do and wipe out all of them! We love how the crust crumbles down and melts in your mouth. Collection period and venue will be further advised. For those who have also placed orders for the Shanghainese mooncakes here, we can also arrange them to be collected on the same day. Do drop an email to eatloveshoot@gmail.com if you would like to place your orders. Brought some tarts to distribute during my exercise class yesterday morning and secured some orders (sorry for being responsible for the extra calories!). 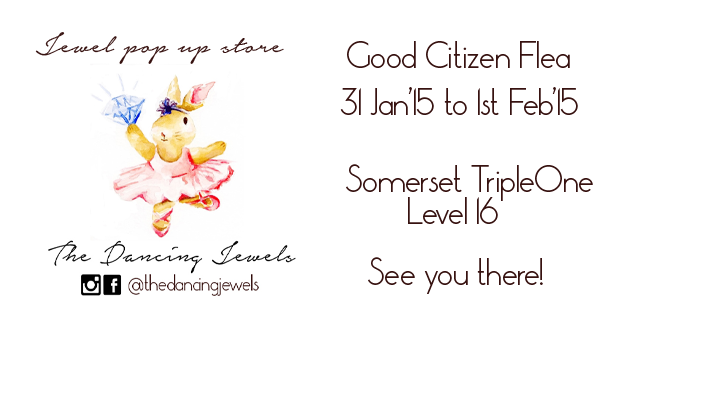 Or if you are free on 31/1 to 1/2, Pop by our jewel booth at Triple One Somerset Level 16 and we would gladly pass you some samples! Feel free to email us to reserve your samples too! Please help to share our page and spread the butter! Another must have in Taiwan apart from their local delights at the night market would be the fresh seafood that they can offer at irresistibly reasonable prices. As an island nation surrounded by the sea, you will be missing out a whole lot should you not love seafood! It’s no wonder seafood is so popular in Taiwan. With the utmost importance of satisfying our tum tums, we headed to Addiction Aquatic Development. It seem to be a hotspot amongst locals and tourists. With it’s rustic feel of crates as eating areas, remember to get a spot before making a beeline for the food arena inside. Else there are also standing areas and bartop dining within the air conditioned interior. With the major chief chef from Japan, Mr. Tadashi Takeda overlooking the 12 meter sushi counter, it is the best stage for introducing aquamarine food products. Good, fast, and value driven ingredients are provided, demonstrating the efficiency and vivacity of the fish market’s atmosphere. It’s hard not to be overwhelmed with their fresh selection of seafood once you enter the premises. In the live aquamarine area, temperature controlled tanks contain live seafood from all over the world, providing general consumers and business consumers live fish processing and cooking services. Are you feeling hungry already?! Wash down your seafood with their high quality selection of champagne and red wine. Where else better than here to enjoy top notch seafood and exquisite wine? Slabs and slabs of salmon sashimi starting from 10SGD and sea urchins for ~15SGD. We nearly went crazy! It was so hard to choose with our limited tummy capacities! Even economical rice- the AAD way (120NTD for 4 dishes, ~4.50SGD). Their prices are so friendly we had such a hard time selecting our food! They are so well equipped with their arrays of drinks you can really eat to your heart’s content here without fretting not having what you want. And did I miss mentioning they even have fresh fruit produces?! They even have dried produces should you want to bring any home. We finally rounded up our purchases for tuck in. All utensils can be found beside the cashier. Bottle openers are located just outside the exit. 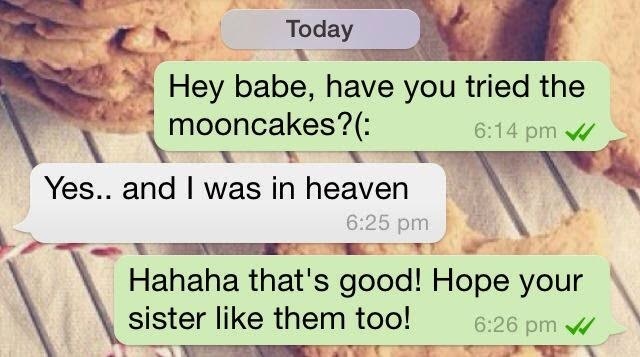 Aren’t they entirely considerate? Juicy crabs at only 1004NTD/~42SGD! Fried rice which tasted pretty good and went well with the grilled prawn. Dad's lunch since he is not a fan of raw food. Don't belittle the fish. It's really well marinated and grilled to perfection. Plates of sashimi and sea urchin at only ~10-15SGD each! And here’s our feast, completely filling the table. Those must have been the most reasonable and juicy crabs we ever had. Oh bring me back to Taiwan now! After lunch, we cabbed further down for some exploration. We stumbled upon this coffee joint which we really liked. The boss was really friendly, like most of the Taiwanese and generously educated us with the different types of coffee beans. We were given canisters of coffee beans to smell and choose before they grind it freshly for us.This cosy little café only specialises in coffee and we overhead some taitai’s requesting for some cheesecakes, which a pity the café didn’t sell. But it certainly sounds like a great combination. Spot those paper tops kept at the overhead shelf. Many locals here purchases the coffee beans and have them stored at the café, similar to the liquor concepts in Singapore where customers get to open bottles and have them stored till the next trip. This is the ice drip coffee that is currently in the rage in Taiwan and you can spot this in most coffee joints. The ice cubes are housed in the glass canisters and upon melting, they drip into the lower canister of coffee powder which further accentuates and taste and scent of the coffee. Don’t miss a cup if you pop by! Coffee prices are real reasonable, about 50-80NTD ( 2-3SGD) per cup, inclusive of a coffee session if you are by the bar area and the boss is around for chit chat (: They also sell coffee beans for takeaway if any tugs your tastebuds. We swung over next to the highly raved Fujin tree 353 café. We couldn't resist checking out the Home section just opposite the cafe. The café is nothing short of quirky and rustic display and merchandises for purchases. They offer a selection of confectionary and coffee for tea time with the perfect ambience. Fujin 353 is pretty much commercialised as compared to the homely and cosy coffee joint we stumbled upon earlier on. Their café holds by a at least one order by customer policy which we only learnt of upon settling down and all 3 of us had to get something from the menu. The boyfriend ordered brown sugar coffee as recommended online but it seems to be not his cup of tea. As a non-coffee connoisseur, I ordered a milk tea drip ( I think) which is supposedly one of their house special, but turned out to be bland and milky. We ended the day with trips around the fish shops area around the vicinity.